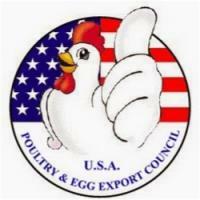 The USA Poultry and Egg Export Council will receive $1.4 million in special funding under the Agriculture Trade Promotion Program. The program was developed to assist exporters to find new markets in the face of tariff barriers against U.S. products. The White House made available $12 billion in programs to provide assistance to the farming sector in a package announced in September 2018. Other recipients of ATP funding include the U.S. Meat Export Federation ($17.6 million), the American Soybean Association ($21.9 million) and the Southern United States Trade Association ($12.6 million). Although the USAPEEC will benefit from the ATP funding, the magnitude of the allocation is disproportionate to the volume of exports and the problems created by tariffs barriers.